For seed handling as gentle as kid gloves, look to the Unverferth tubular-style gravity box conveyor. 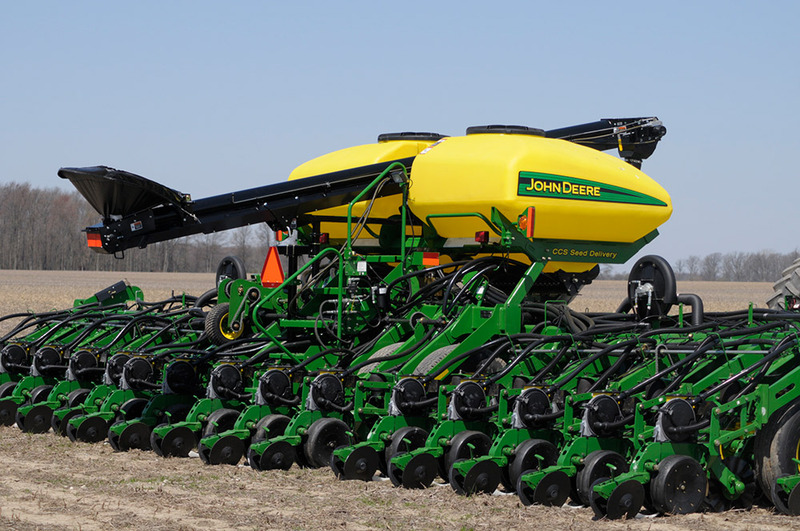 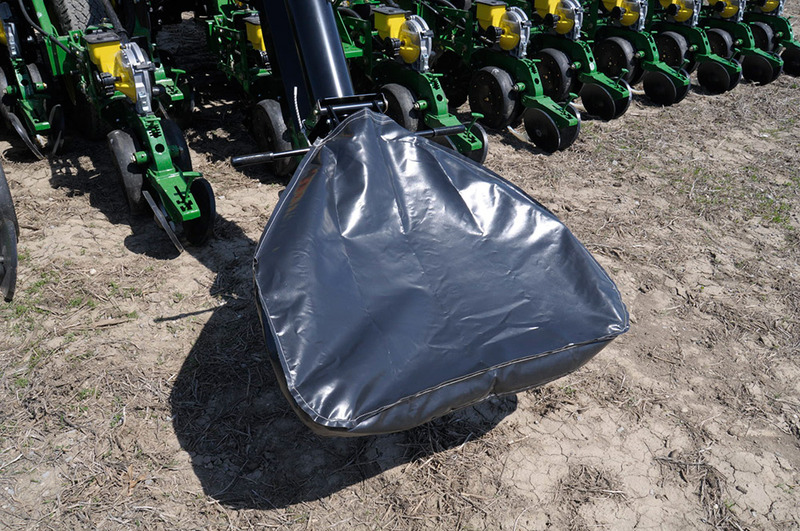 It features an 8" wide cleated belt cupped inside of a 6" steel tube for maximum seed cushioning as it moves from the gravity box to the planter or drill. 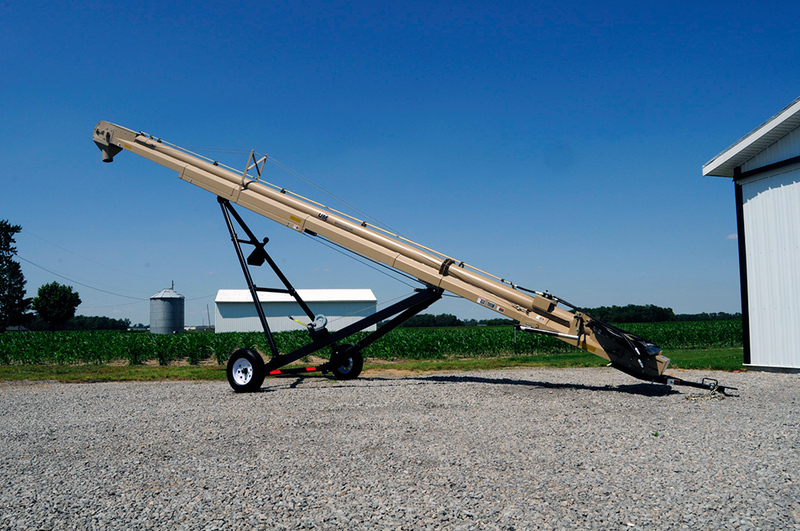 Seed is conveyed as quickly as 10 bushels or 12 units per minute, depending on seed type and operating speed. 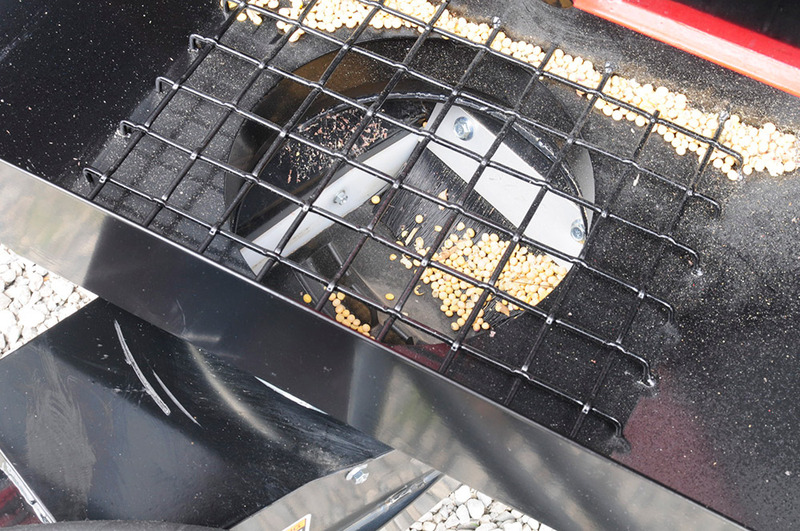 The cupped and cleated design of the belt keeps all of the seed moving quickly and gently. 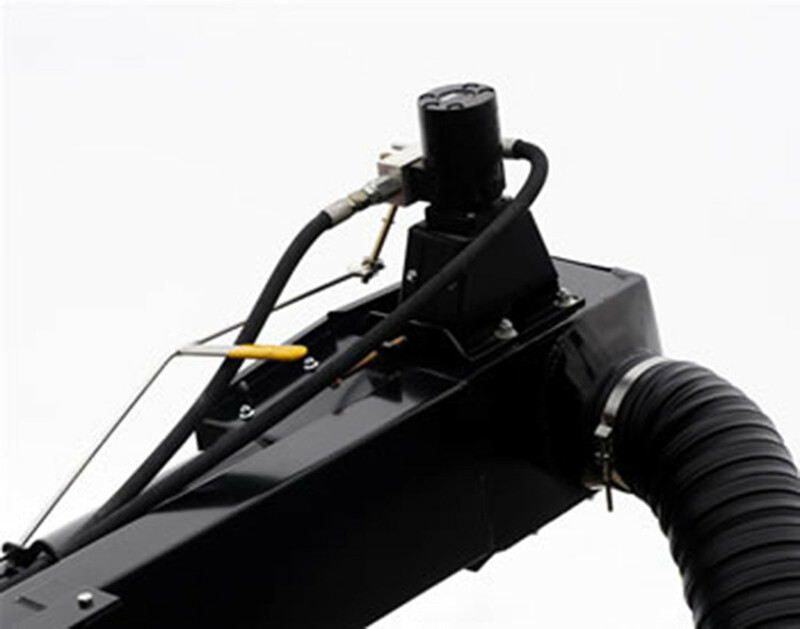 Its steel construction with powder coat finish provides outstanding operating durability and longevity. 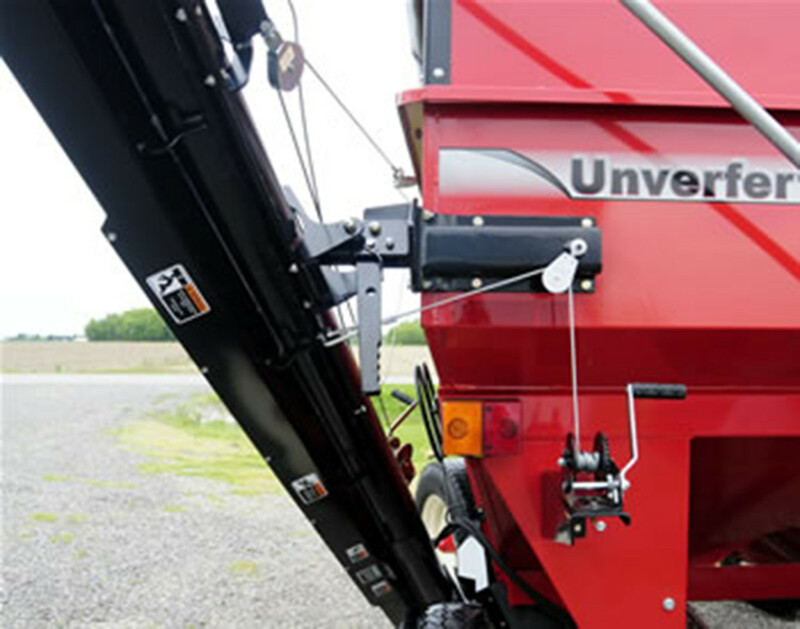 Universal mounting bracket allows for matching the Unverferth gravity box conveyor to all gravity boxes with door widths ranging from 29 1/2" to 60". 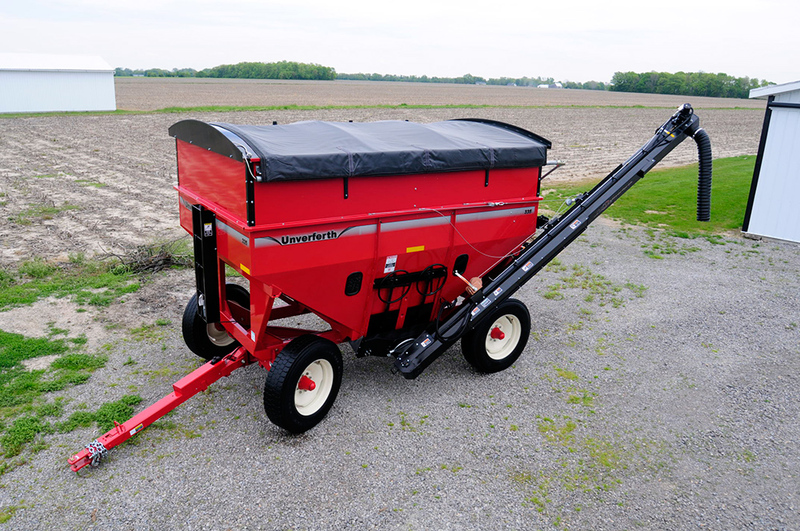 It’s belt capacity, not speed that makes moving seed with an Unverferth pull-type tubular-style conveyor both fast and gentle. 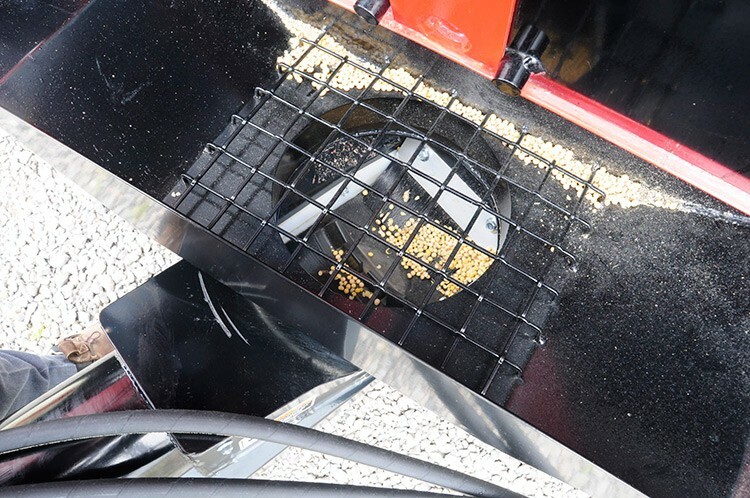 The 2” vulcanized cleats are spaced 9” apart on the 12” PVC belt inside of an 8" tube for carrying large volumes of seed at low operating speed for minimal seed damage. 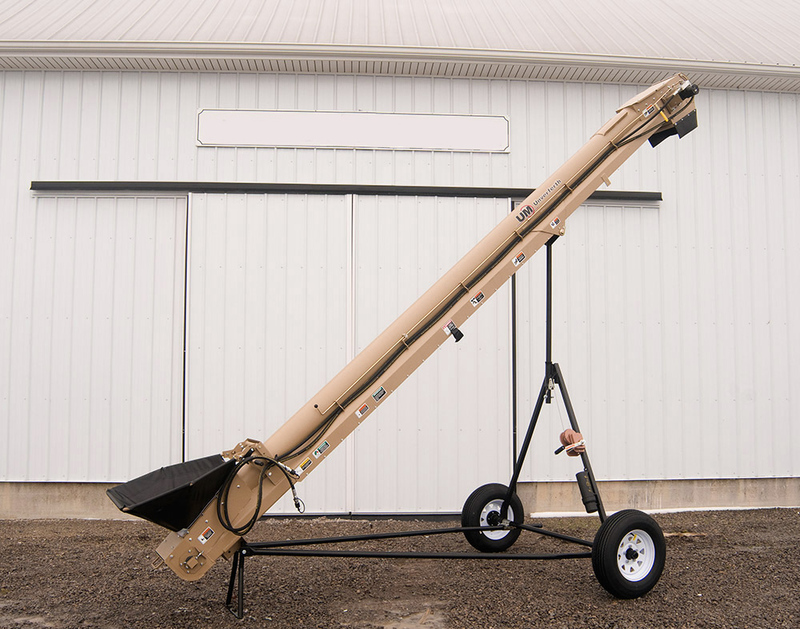 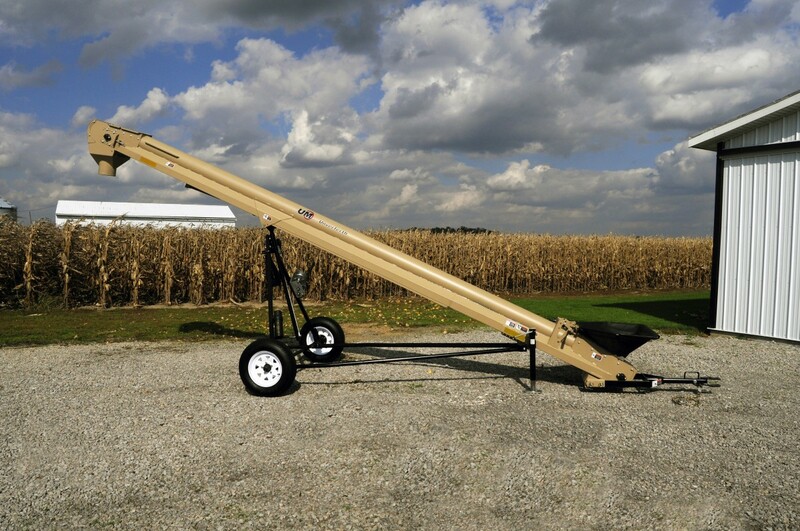 Unverferth 8" portable seed conveyors can move up to 34 bushels per minute (2,040 bushels per hour) and are constructed of tubular-steel with powder-coat finish for optimum durability. 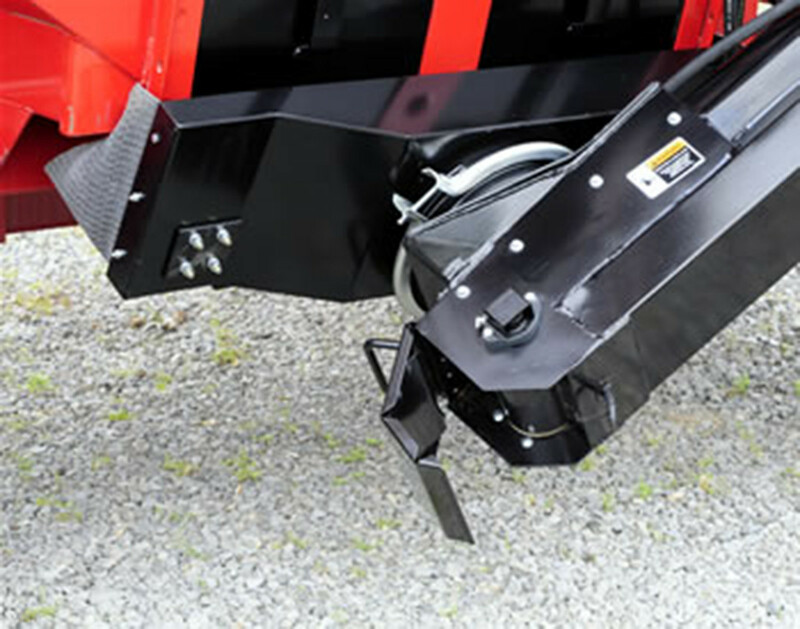 They feature a heavy-duty steel transport frame, new implement tires and a wide, 8-foot base for extra stability when in a high working position and during towing. 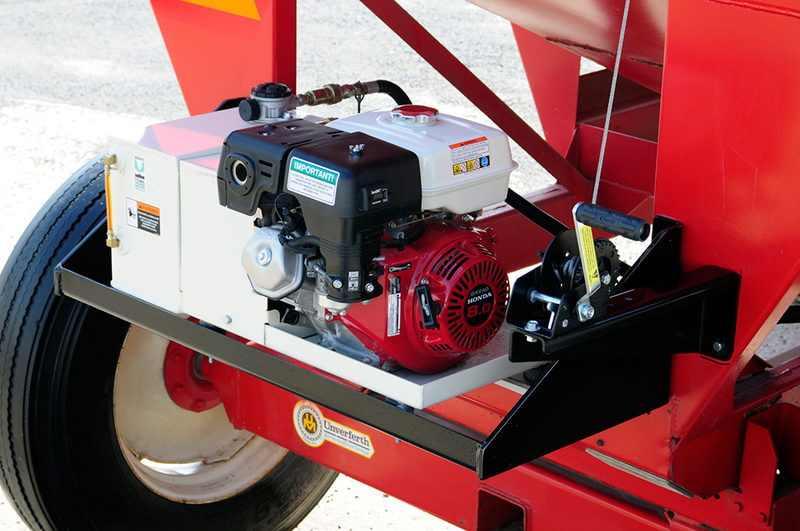 Operating height is easily adjusted with a friction-disc winch. 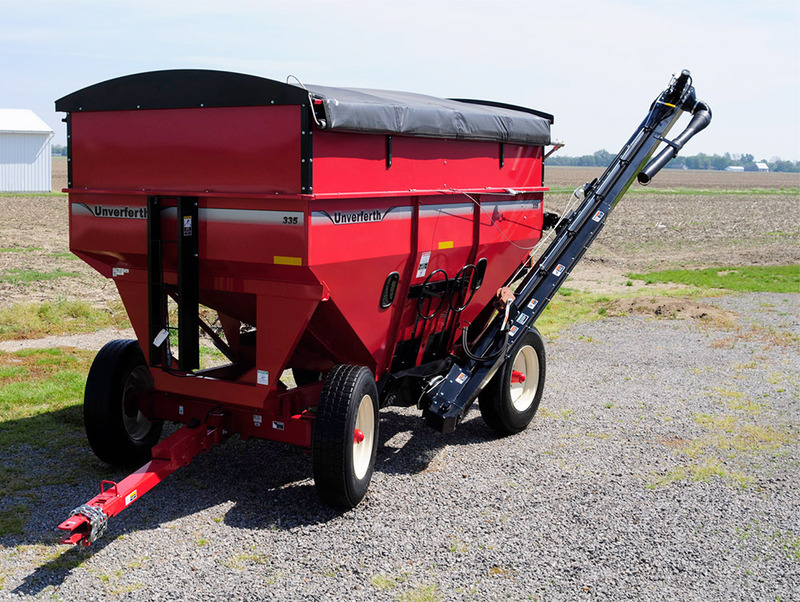 Conveyor features field-proven 2” vulcanized cleats spaced 9” apart, providing high-capacity movement at lower speeds for the most gentle seed handling.